Nancy Pelosi seems to think that a relationship between two superpower leaders is dangerous. The US House of Representatives speaker said that she believed the relationship between President Donald Trump and his Russian counterpart Vladimir Putin was “dangerous”. “I think that the president’s relationship with thugs all over the world is appalling… Vladimir Putin, really? I think it’s dangerous”. RT reports: Freshly reinstated as the third-most powerful person in the US government, Pelosi assumed an undiplomatic tone as she spoke with MSNBC’s Joy Reid about a range of topics, including the Special Counsel Robert Mueller investigation, which has failed to unearth any damning evidence of collusion despite sending an array of Trump associates to jail on unrelated charges. Following up on the ‘Russiagate’ probe, Reid asked Pelosi what she makes of the relationship between Putin and Trump. “I think that the president’s relationship with thugs all over the world is appalling,” Pelosi responded, receiving a thunderous round of applause from the audience that muffled her next words. 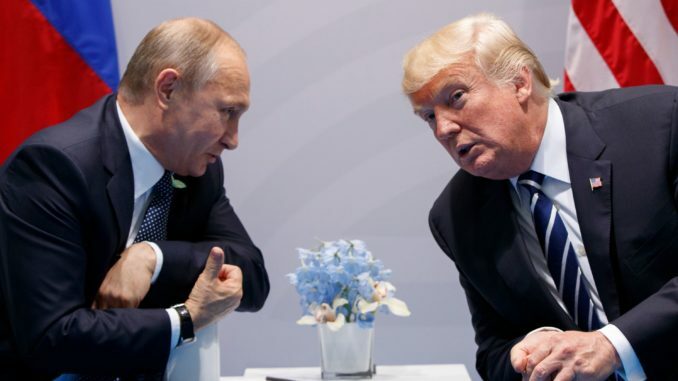 Awash with criticism following his first encounter with his Russian counterpart, Trump cancelled planned bilateral talks with Putin at the G20, citing a standoff between Ukrainian and Russian military ships in the Kerch Strait. They still had a brief conversation that lasted between 10 and 15 minutes. Trump and the Kremlin have repeatedly denied any allegations of collusion, with both calling the protracted Russia probe a “witch hunt.”Trump, who once said that he might end up having a “good relationship”with Putin, blamed “fake news media” for pushing for a major confrontation between Washington and Moscow that could pave the way for an all-out war. However, Trump also said that nobody has been “tougher” than him on Russia. His administration has imposed additional sanctions on Moscow, expelling 60 Russian diplomats and closing the Russian consulate in Seattle, while giving Ukraine $10 million extra in military aid. In July, Trump said that while “getting along with Putin is positive, not a negative,” he could turn into Russia’s “worst enemy” if the re-engagement with Moscow fails.